Are you one of the millions of Americans that snore at night? Well believe it or not, but if you snore, you are putting your life in danger. There are many causes of snoring, but the most common is not having enough room in your mouth for your tongue. The tongue gets sucked back against the back of throat and blocks the airway, causing stoppage of breathing, known as Sleep Apnea. Left untreated, it can also lead to Heart Attack. 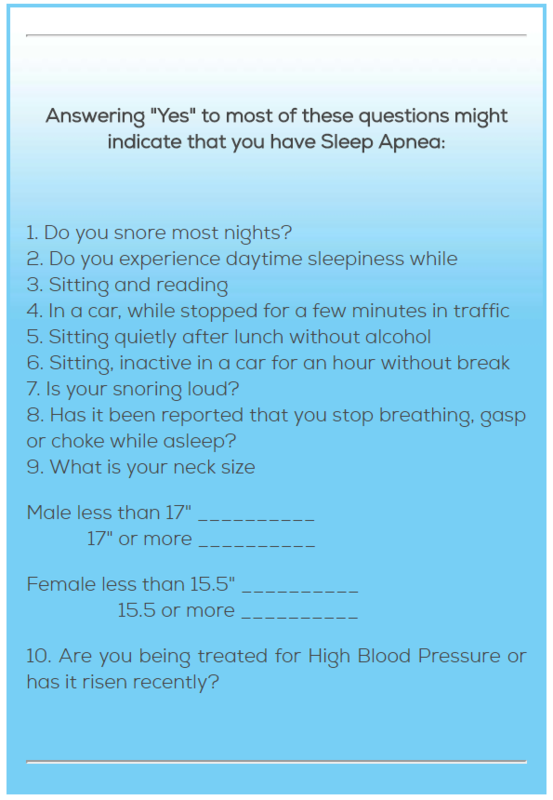 Fortunately, sleep apnea can be diagnosed and treated. Getting a GOOD NIGHT’S SLEEP promises to work magic, except no one tells you how to do it. Quality of sleep has the potential to prevent and ward off illness and disease and maintain a clear, calm mind.